We are happy to present the brilliant Armorik Classic Breton Single Malt Whisky, 70 cl. With so many on offer right now, it is wise to have a make you can recognise. The Armorik Classic Breton Single Malt Whisky, 70 cl is certainly that and will be a superb acquisition. 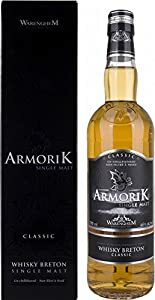 For this reduced price, the Armorik Classic Breton Single Malt Whisky, 70 cl is widely respected and is always a popular choice for many people. Warenghem have added some excellent touches and this means great value. 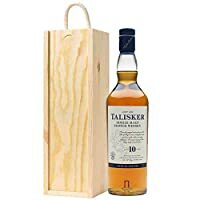 "70cl / 46.0% - This is a French single malt whisky from the Armorik range, distilled at the Warenghem distillery in the north of Brittany. Using whiskies aged in refill bourbon casks, they produce a rich, malty whisky, which has a touch of coastal air in its profile. "